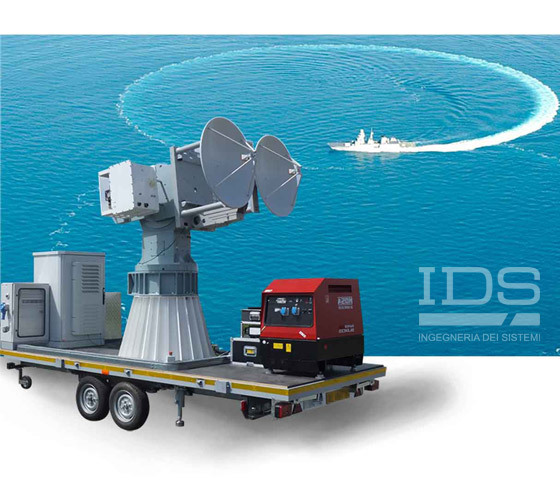 NADIR Ship RCS Measurement Radar | IDS Ingegneria Dei Sistemi S.p.A.
NADIR is a smart electromagnetic measurement solution designed for use in an inshore environment to perform dynamic RCS measurements of full-scale ships. It is based on a vector network analyzer (VNA) paired with a specifically designed radar front-end and dedicated data acquisition software. The radar front-end is necessary for pulse shaping; transmitted power increase and noise figure reduction, whereas the network analyser is used as an acquisition platform. This kind of solution greatly simplifies calibration procedures and has a high return in investment, since while the offshore RCS measurement system is used only during acceptance and midlife refitting, the network analyser can be reused during the whole life cycle of the naval platform’s design, starting from the characterisation of materials up to the signature control of components. In addition, the possibility of tracking the ship under measurement using an automatic identification system (AIS) enables NADIR to perform high speed evaluations of a ship’s RCS immediately prior to a mission. 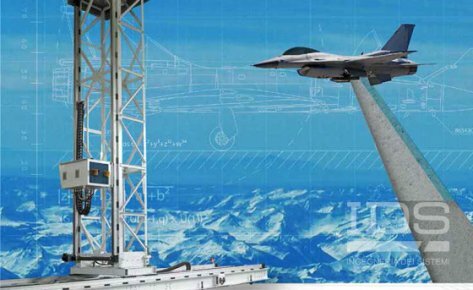 The radar, tracking equipment and the cabin for its operators, and control and monitoring equipment, are all designed for outdoor use. It is self-powered and is fully transportable as it is tailored to fit inside a standard DIN container for long distance shipment. Fast to set up and easy to operate at it was specifically designed to measure ships at sea. 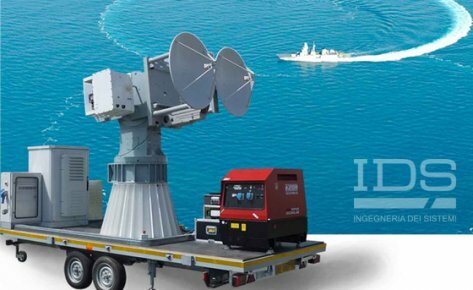 Naval vessels have an ever increasing need to reduce their visibility and hence maximize their survivability by ensuring that their radar cross section (RCS) signature is as small as possible. As a ship goes through its life, natural wear and tear can affect its operational capability. Detection of possible RCS signature performance degradation is necessary to ensure that a ship is able to successfully perform its mission while maintaining its level of survivability and ensuring its crew remains safe. 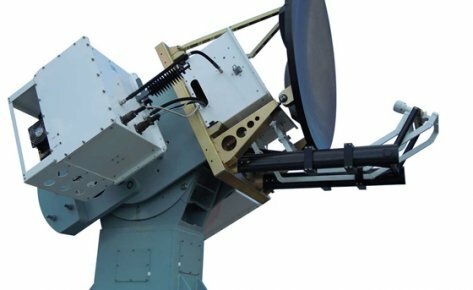 Additionally, modifications in the topside configuration following a refit, as well as the addition of new or changes to existing equipment such as weapons, communications or surveillance systems, can also affect the electromagnetic profile of a ship and can result in unforeseen performance problems. These can include increased visibility due to RCS hotspots. Optimized for short range dynamic RCS measurement of naval vessels. When being measured, the ship describes a circular trajectory with a diameter of 1-2NM or performs 360° revolutions using its bow thrusters. The antenna subsystem is mounted on an equipment trailer and includes RX/TX radar antenna assembly, RF modules, elevation over azimuth positioner and the positioning, processing and control equipment. The operator working station for remote system control and post-processing. The on-board subsystem (ROVER), which is carried on the target ship, provides GPS and motion data and a radio data link.